Elections taking place in the Queen's Park ward of Westminster today are truly historic. As well as the London region MEPs and councillors on Westminster City Council, residents of Queen's Park are voting for truly local councillors to represent them on Queen's Park Community Council. 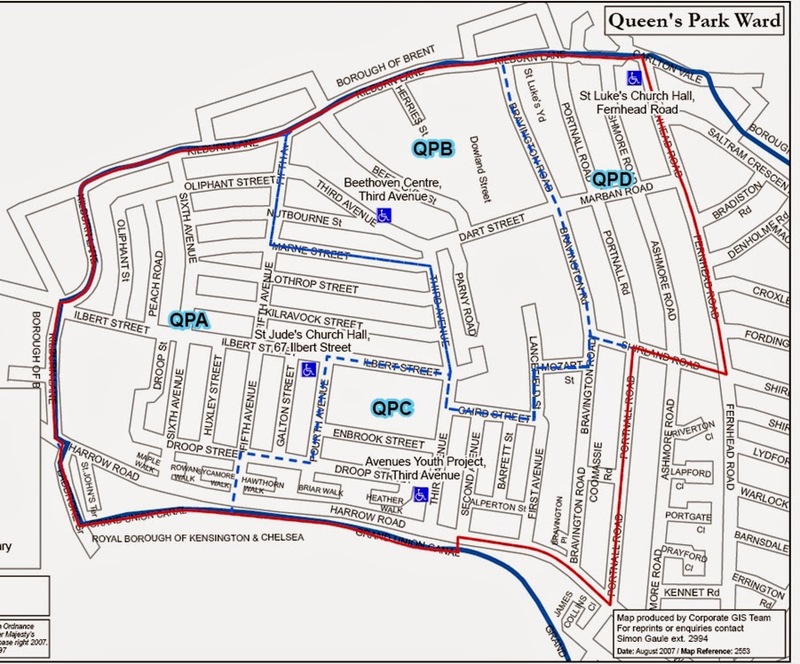 Queen's Park Community Council is the first ever parish council in Inner London and the first in Greater London as a whole since 1936. The Queen's Park area of Westminster has no history of truly local democracy. It has always been subject to remote administration. Before 1900 from Chelsea, until 1965 from Paddington and currently from Westminster. Most local government services will continue to be provided by Westminster City Council, but now Queen's Park has the ability to act for itself and respond to issues locally. Communities all over London should be interested to learn what they are able to achieve.